Today I am happy to have as my guest, Kayla Tirrell, author of the River Valley Lost & Found series. She’s here to tell us about her writing and All the Things We Lost, the first book in her young adult, contemporary romance series. After her mother’s death, eighteen-year-old Katie finds herself in a town she never thought she’d see again. Lost in turmoil and sadness, a ray of hope shines when she comes face to face with Julian for the first time in years. However, he isn’t the same boy she left behind. Reserved and covered in bruises, everyone in River Valley avoids him. Rumors of his activities run rampant. Despite his cold attitude toward her and her own sadness, Katie can’t keep her thoughts from straying to her childhood friend. Julian is barely keeping it together. He’s the sole provider for his family after his dad leaves. His dreams to go to college are ruined. Even his relationship with his older brother leaves its mark. But Katie’s back in town and is stirring feelings in him he thought were lost forever. Can they find hope and love in each other, or will the struggle to survive their desperate situations prove too much? All The Things We Lost is a young adult contemporary romance perfect for both teens and adults. It is the first in a series of books, each revolving around a different couple living in the same, small town. Tip: You can download All the Things We Lost from Amazon for just 99 cents or read for free with Kindle Unlimited. Earlier this year, you released a YA series set in Idaho. What made you choose Idaho? Have you spent a lot of time there? I actually grew up in a small town called Kuna. River Valley is loosely based on this town. It was fun to relive some of my childhood experiences through Katie and Julian. What challenges did you face in the writing process? How did you deal with writer’s block, and so on…? Well, for one, I don’t actually live in Idaho anymore. So I spent a lot of time talking to my childhood friends. I asked a LOT of questions. Writer’s block hasn’t been a problem as of yet. Finding the time to write is the real struggle. It’s cliché, but don’t give up. I almost put All The Things We Lost down, never to be finished. I’m really glad I didn’t. I’ve met so many amazing authors and readers along the way. This book has really touched people. That’s an amazing feeling. I am guessing you read a lot. What genre do you most enjoy reading? I actually don’t get to read nearly as much anymore. Writing takes a lot of my free time. But I enjoy young adult, specifically fantasy and science fiction. In fact, I have a science fiction idea that I HOPE to be writing early in 2018. Considering I write romance, Kasie West and Morgan Matson have been some of my biggest influences. Wendy Higgins is another. Right now, I’m working on a collaboration with two other authors. I’m really excited about it. We recently released a collection of short stories (that’s available for free on all major retailers), but are co-authoring a full-length series together. Each one of us is writing a book in it, and it should be released early 2018. I have such a love/hate relationship with social media. I actually took a several-month hiatus when I was finishing up All The Things We Lost. I find it to be such a black hole for time. That said, I’ve so enjoyed connecting with readers and writers I wouldn’t have known otherwise. I’m a mom of three very active boys. I spend a lot of time chasing them. I’m also very active in my church. And last but not least, if you could go anywhere in the world, where would you go and why? I really, really want to visit Russia. I’m fascinated by the architecture of their cathedrals. When she gets a chance to watch TV, she enjoys cheesy sci-fi and superhero shows. Most days, you’ll catch her burning dinner in an attempt to cook while reading just one more chapter. Help! My Parents Are Zombies! To subscribe to her newsletter and receive a FREE short story, click here. As part of a book blast organized by Partners in Crime Virtual Book Tours, today’s post showcases Audition for Murder by P.M. Carlson. Catch up with the author on: Website 🔗, Goodreads 🔗, Smashwords, & Twitter 🔗! Enter a Rafflecopter giveaway for a chance to win an Amazon gift card. 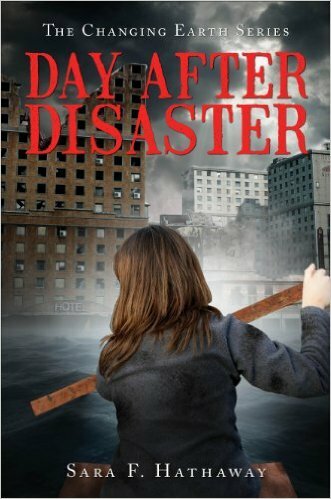 Today I am honored to have Sara Hathaway, author of The Day After Disaster and fellow RRBC member, as a guest on my blog. Sara is here to tell us a bit about the philosophy behind her book. I have never been your typical “girl”. I just wasn’t raised that way. My mother was the middle child in a group of five girls and quickly became my grandfather’s masculine counterpart. She helped him with all the chores a boy would have and eventually became a very skilled upholsterer, working with her hands. She was as big a “tom boy” as her daughter turned out to be. I grew up in Michigan. My family would go out fishing on the Great Lakes with my grandparents in huge fishing boats with all the latest depth finders, downriggers and planer boards (that’s fishing jargon). We had picnics at the gun club where we had .22 rifle competitions for back to school supplies. Eventually, I was only allowed to use the oldest guns without sites because I was winning too much gear. I learned how to fillet fish and gut animals. Not exactly doing my nails and following the latest fashion (camouflage wasn’t really a fashion back then). Guess I should have known how differently my future girlfriends would have thought about a power outage. My first thoughts had been on computer networks, food refrigeration, and public safety. I pondered the question I had asked and their response for many years and honestly I have never stopped. I still live in the country, side by side with nature, but I have watched the world closely. I have watched our society become more and more dependent upon electricity. Our global communications are made possible by satellites orbiting the world, dependent upon solar power. Computers weave into every facet of life. They control our vehicles. They control our homes. Our social life is conducted via Facebook and Twitter. Everyday life is made easy with the assistance of a machine. TVs flip on and technology allows us to fast forward through commercials (just like we always dreamed of). Food is ready in seconds with the handy, dandy microwave and what about coffee? Have you ever had to use a percolator? Would you know how to make a cup without power or a single serving bag? Life hasn’t been this way for long but unfortunately we are forgetting many life-preserving skills rapidly. Just a couple of generations ago they knew not only how to grow a garden but what to do with the food to make it last all year. They knew how to flush a carburetor to get your engine running. They knew exactly where the meat they were eating came from because chances are it wasn’t living too far away, even if you lived in the city. They understood death in a world without modern medicine and grew to accept it. They were survivors. Have we, as an American Society, learned enough to survive in their world, one void of computers and modern technology? I don’t think so. Most of the parents I know in recent generations have always wanted their children to have an “easier” life. One better and less laborious than the one they lived. People have grown up sheltered from a natural reality and instead had it substituted with technology. This is crippling the American Society and the problem is just getting worse. It’s time to wake up and remember. It’s time to ease the pain of the grocery bill by growing your own food and preserving the food you grow or buy from other neighborhood farmers. It’s time to learn how to survive without the precious electric meter running. It’s time to learn how to walk through a forest and know what is available for you to eat there. There may never come a day when these skills are necessary for everyday life but what if they were? Wouldn’t it be a better idea to learn sooner rather than later and by all means pass these essential skills down to your children? 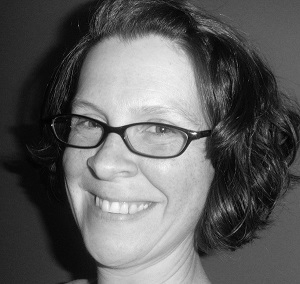 Sara F. Hathaway is an individual with an insatiable urge for learning. She grew up in the woods of Michigan, fishing, hunting, gardening, canning, and horseback riding with her family. She loved to learn about the stories of times past from her great grandparents and grandparents. She learned about a time much different from our own when a trip to the grocery store was not all it took to make sure your family was fed. She delighted in the outdoors and learning how to survive there without the trappings of modern life. She has extensively researched and practiced survival techniques and utilized forgotten life-sustaining methods of the generations past. After moving to the rural mountain landscape of California, she attended The California State University of Sacramento and graduated with a bachelor’s degree in General Business Management. She managed many businesses, all while working on the manuscript for her novel, Day After Disaster. Eventually she realized that her passion for the outdoors and learning about survival techniques outweighed her passion for the business world. She took her marketing skills and applied them to launching a successful platform for her first novel. Sara still lives in Northern California with her husband and two sons where she is at work on the sequel to her first novel. She delights in helping other authors find the same marketing success and enjoys her time that she gets to spend honing her survival skills while teaching these skills to her sons. 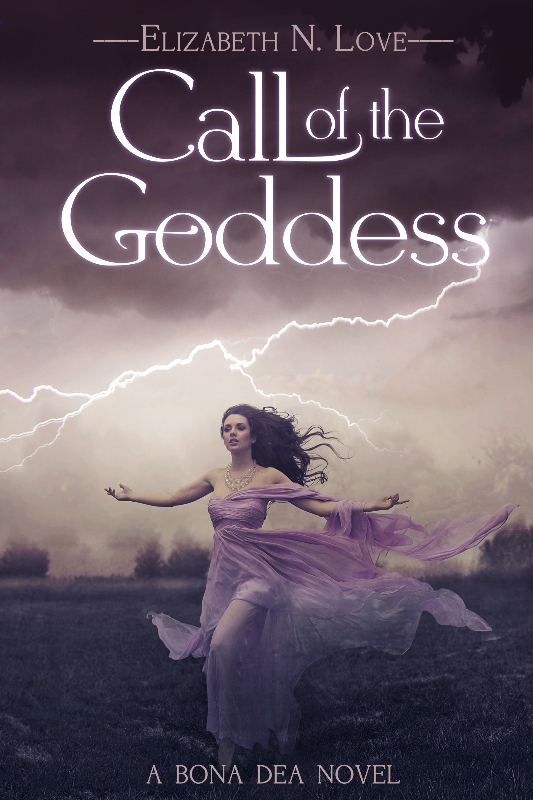 Today I am honored to have Elizabeth N. Love, author of Call of the Goddess and fellow RRBC member, as a guest on my blog. An avid reader and frequent reviewer of other authors’ books, Elizabeth shares her thoughts about writing book reviews. After I post my own review, I take a quick look at other reviews for the same title, looking for any interesting insights I might have missed. There has been more than one occasion where I seemed to have an anomalous opinion, but it is my absolute honest opinion. Integrity is very important to me when I formulate my reviews. Read the book: It seems like this should go without saying, but you’d be surprised how many reviews are written from the blurb. Before I write any kind of review, I use the product first. The same goes with a book. Read it. Use it. Then decide what to say about it. Be honest: Simple. You aren’t doing the author nor yourself any favor by creating a false review. 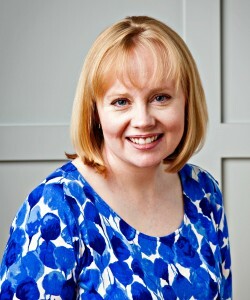 Elizabeth N. Love currently lives near Kansas City with her family. When not writing, she is usually chauffeuring two children to various activities, gardening, or walking through nature. 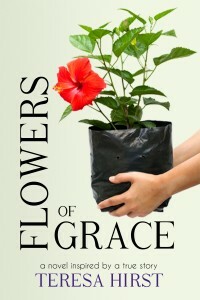 She is currently working on two more books to publish within the next year.